A question that I am often asked is "How do you manage to work a full time job and run a farm?" When I am asked this question, I wish I could provide a step by step guide on how to do just that, but the reality is that I couldn't do it alone. It's about teamwork. There are so many tasks on a farm that simply can't be done alone, whether it's erecting fences or repairing tractors, two pairs of hands are far better than one. 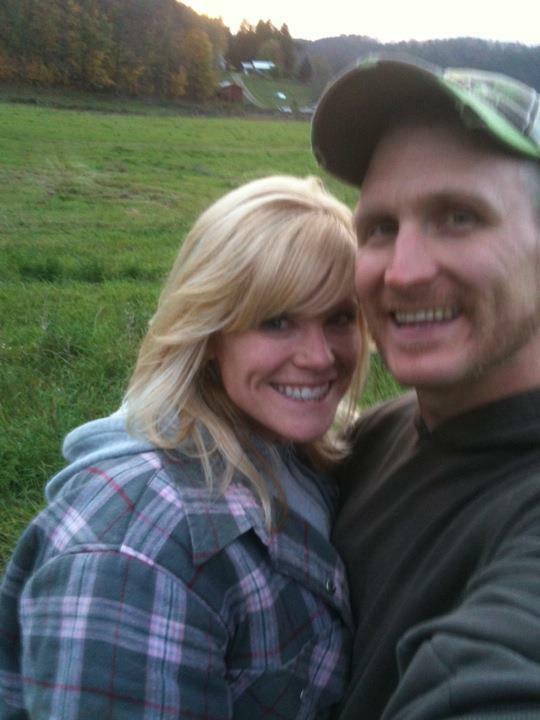 Many folks in the farming community have reiterated to me that "The couple that does chores together stays together". I suppose that there is something which bonds you when you shovel poop together, but I do think it's more than that. Sharing repeated tasks with a partner means that you have to work together to find efficiencies. You also discover your partners strengths and weaknesses. While I may not be adept at driving the tractor, I am fantastic at healing injured livestock. It's through our shortcomings that we enable our partner to shine. I also think that the key to a successful partnership is to recognize your partner's efforts and successes. We all like to be recognized, even if it's for the smallest thing. When I get home from work and find that supper has been started already, it puts me in an appreciative mood. I find myself thinking "wow! that was nice, what can I do to reciprocate?" This is how after dinner my better half finds himself looking down at his favorite type of pie. So how do we run a farm and work full time? We work together to prioritize, we support each other when things go wrong, and we divide tasks so that we each focus on what we each do best. Of course, a little silliness helps too. It's very hard to take someone seriously when they have straw in their hair.